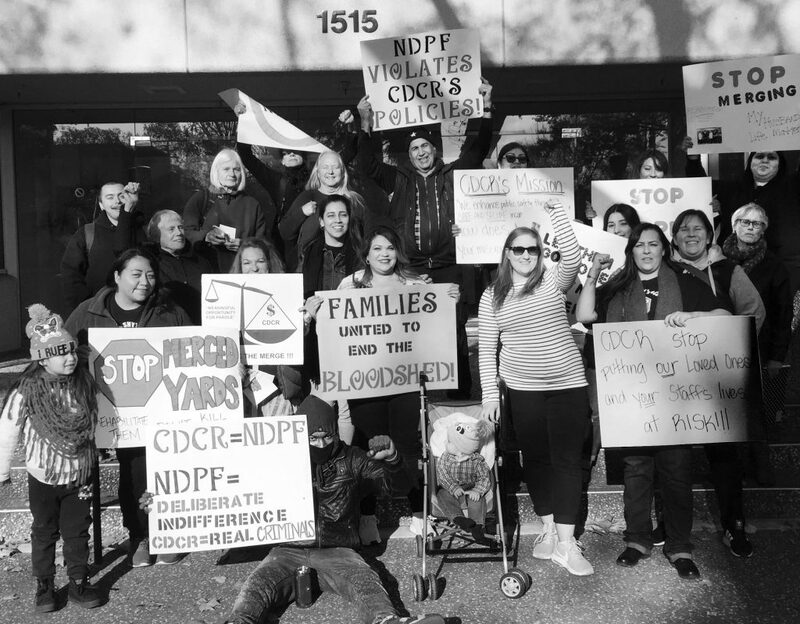 Sacramento, Calif.—On Dec. 14 families of prisoners and supporters held a rally in front of the California Department of Corrections and rehabilitation’s (CDCr) headquarters against the CDCr-induced violence that many of their loved ones are experiencing. Families of prisoners and supporters demonstrate on Dec. 14, 2018, in front of the California Department of Corrections and rehabilitation’s headquarters. Photo: Urszula Wislanka for News & Letters. To get out of solitary, the infamous Internal Gang Investigators demanded information to use against other prisoners without regard to its validity. CDCr “protected” their growing snitch population by placing them in Special Needs Yards (SNY). Protocol in such cases is to close down the yard. Instead the call went out over the loudspeakers that all prisoners had to report to the yard. The more than 30 prisoners were attacked by the entire SNY population. They were beaten with locks, had their heads split open, and were stabbed. They also received 115s for “participating in a riot” and were put in ad-seg. This entry was posted in Articles and tagged Agreement to End Hostilities, Avenal Prison, California Department of Correction and Rehabilitation, CDCR, general population, Inmate Family Council, Internal Gang Investigators, new human relations, North Kern, Secure Special Needs Unit, snitching, SNY, Special Needs Yards, Urszula Wislanka, Wasco. Bookmark the permalink.